Twitter has rolled out its new 280 character limit worldwide, in a full global expansion of the feature, which first debuted to a limited group of beta testers back in September. 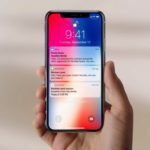 Twitter says historically 9% of tweets in English hit the character limit, but after expanding to 280 for beta testers, the number dropped to 1%. 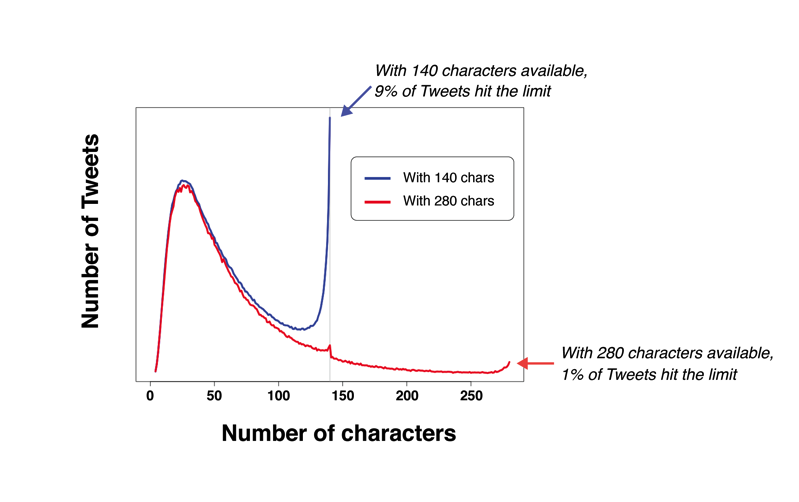 According to Twitter: On this graph, there is a small bump in the red line (which represents the group with 280 characters) at 140 because these people were also using older Twitter clients which didn’t have the ability to send longer Tweets, so they continued to hit the 140 character limit. This graph is for English-only Tweets. With the new 280 character limit, Twitter says only 5% of tweets were sent longer than 140 characters, while only 2% were over 190 characters. So in other words, although more characters were available, people still kept tweets in English short and sweet. For now, tweets in Japanese, Korean, and Chinese will retain the original 140 character limit. Twitter.com now supports 280 characters and now a circle progress indicator shows how many characters remain, but it will turn into a number when 20 characters remain.